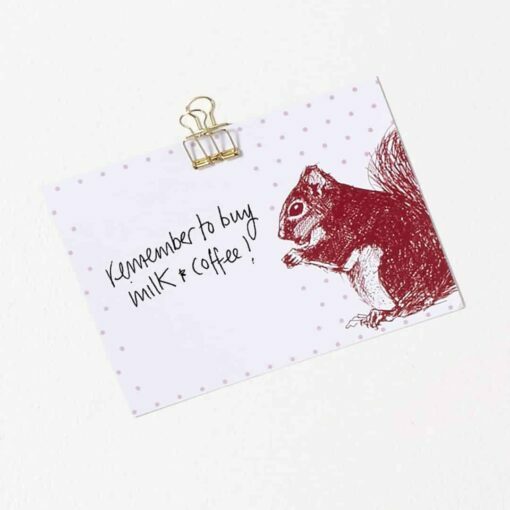 These pretty squirrel note cards with a pink polka dot pattern design are ideal for people who are like squirrels themselves; always busy and super organised, as they can use these cards to help keep others in check! Do you regularly leave dishwasher operating instructions for your flatmate and/or chores set out for your children? Then writing those tasks on something pretty like this will remind those less efficient than you of your sweet, thoughtful and caring nature. Even if what you end up writing is more of a demand!